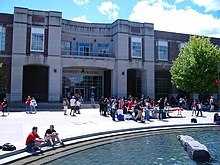 The University of Nebraska–Lincoln, often referred to as Nebraska, UNL or NU, is a public research university in the city of Lincoln, in the state of Nebraska in the Midwestern United States. 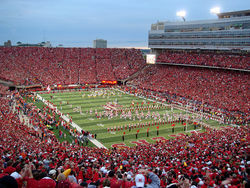 It is the state's oldest university, and the largest in the University of Nebraska system. In 1908, Nebraska was inducted as a member of the Association of American Universities, an organization of research universities. In recent years, Nebraska had been at or near the bottom of the AAU's statistical criteria for members, a ranking attributed in part to the university's extensive agricultural research funded by the U.S. Department of Agriculture, which is not included in the AAU's rankings because it is not awarded by peer-reviewed grants; and because Nebraska's medical school is a separate institution whose research funding is not under UNL's auspices. Both City and East campuses include academic and research facilities, libraries, recreation centers and residential buildings. They also include various support buildings for power, networking, as well as in-ground infrastructure supporting advanced computing, power distribution and energy-efficient heating and cooling from central plants. Both campuses are invitingly-landscaped, and the grounds function as well as a research mission of the university; they are administered as the UNL Botanical Garden and Arboretum;  major plantings include Cather Garden on City Campus and Maxwell Arboretum on East Campus. The University's English Department has an active program in the digital humanities, with digital projects such as the Walt Whitman Archive,  the Willa Cather Archive,  and the international collaboration Livingstone Online. Projects are also underway for the production of a free online Native American Omaha-Ponca language dictionary. In addition, the Center for Digital Research in the Humanities hosted the annual conference of the Alliance of Digital Humanities Organizations in 2014. 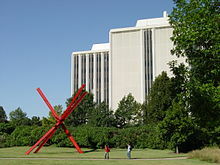 The University of Nebraska is a participant in the Big Ten Academic Alliance. The Big Ten Academic Alliance (BTAA) is the academic consortium of the universities in the Big Ten Conference. Engaging in $10 billion in research in 2014-2015, BTAA universities provide powerful insight into important issues in medicine, technology, agriculture, and communities. Students at participating schools are also allowed "in-house" borrowing privileges at other schools' libraries. The BTAA uses collective purchasing and licensing, and has saved member institutions $19 million to date. Course sharing,  professional development programs,  study abroad and international collaborations,  and other initiatives are also part of the BTAA. The University of Nebraska established a separate Office of Sustainability in 2014[ citation needed] with projects such as EarthStock and Bugeater Student Organic Farm. UNL has around 400 student organizations on campus that represent a variety of interests. Organizations are supported by Student Involvement. 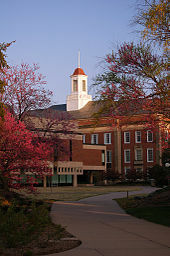 ^ "University of Nebraska Administration - History & Mission". Nebraska.edu. Retrieved December 23, 2015. ^ Vandervoort, Frances (1999). "A Green Centennial". The American Biology Teacher. University of California. 61 (9): 648–659. doi: 10.2307/4450796. JSTOR 4450796. ^ "UNL Historic Buildings - Historical Overview". 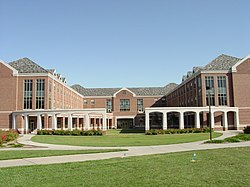 Historicbuildings.unl.edu. Retrieved May 20, 2012. ^ a b "UNL | Colleges and Departments A-C". Unl.edu. July 23, 2009. Retrieved May 20, 2012. ^ "Kruger Collection". 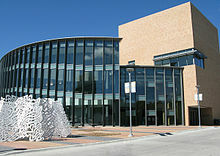 University of Nebraska-Lincoln. Retrieved September 20, 2017. ^ "Robert Hillestad Textiles Gallery". UNL. Retrieved September 20, 2017. ^ "Kruger Collection". UNL. Retrieved September 20, 2017. ^ "Eisentrager-Howard Gallery". UNL. Retrieved September 20, 2017. ^ "Railroads and the Making of Modern America". railroads.unl.edu. Retrieved November 15, 2016. ^ "O Say Can You See: Early Washington, D.C., Law & Family". earlywashingtondc.org. Retrieved November 15, 2016. ^ "The Walt Whitman Archive". www.whitmanarchive.org. Retrieved November 15, 2016. ^ "Willa Cather Archive". cather.unl.edu. Retrieved November 15, 2016. ^ "F-L-O-R-I-D-A, or is it T-O-L-E-D-O? – The Gainesville Sun". Gainesville.com. October 9, 2005. Retrieved May 20, 2012. ^ "Ted Kooser Biography". American Life in Poetry. Retrieved May 20, 2012.
" Dear Old Nebraska U (There Is No Place Like Nebraska)"